Children of Men is a 2006 British-American dystopian thriller film directed and co-written by Alfonso Cuarón. The screenplay, based on P. D. James’ 1992 novel of the same name, was credited to five writers, with Clive Owen making uncredited contributions. The film takes place in 2027, where two decades of human infertility have left society on the brink of collapse. Illegal immigrants seek sanctuary in the United Kingdom, where the last functioning government imposes oppressive immigration laws on refugees. 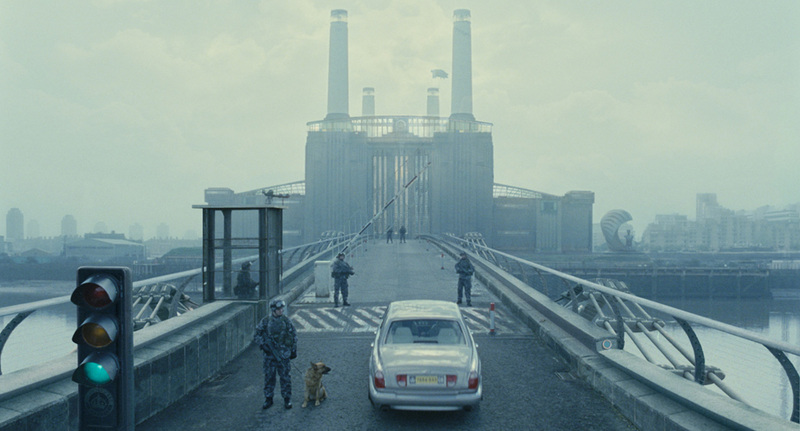 Theatrical trailer for Children of Men, directed and co-written by Alfonso Cuarón. Jeremy Hattingh, working out of Double Negative in London, completed a number of shots for the film, including a signature shot of a futuristic Government Ministry using a plate of Battersea Power Station and an overpass on the London M3.